Nebbiolo loves meat, especially They are a more simple variation of slots game and are reminiscent of the original slots machines. beef and lamb or a platter of aged cheeses. Try it at the Cellar Door with one of our delicious homemade pies and tarts to a local cheese platter for an authentic regional experience. SOLD OUT Displaying vibrant garnet hues characteristic of this Italian varietal, the wine is highly perfumed with redcurrant and cherry fruits mingling with anise and cloves. The palate brims with bright cherries, spice and licorice wound into a tight structure of crunchy acidity and soft velvety tannins. Medium bodied in style with a long, clean finish. Needless to say Italian fare is the way to go with pastas and risottos, pizza, mushrooms, root vegetables and the savoury tannins will accompany most game and red meats. Fresh and vibrant, this wine is crammed with plum and blackcurrant aromas. The opulent juicy berry palate is balanced by savoury, leafy characters and dark chocolate oak. Fluffy, ripe tannins create a mouth filling texture. Drink with an earthy mushroom soup, tomato based chicken dishes, a lamb tagine, dark chocolate pudding or a ripe and creamy brie. Densely purple in the glass with sweet berry fruit galore. Licorice, cloves and blackberries mingle with coffee grind notes in this shiraz so expressive of its terroir. The palate follows the same aromatic cues built on bright juicy blackberry fruit, dark chocolate and your Grandma’s best fruitcake. Fine crunchy tannins give fullness to the structure and the wine finishes with oodles of length. Screw cap. A great complement to a beef and Guinness pot pie, spag bol, lasagne,or duck in plum sauce. IT'S BACK. Deep cherry red in colour. 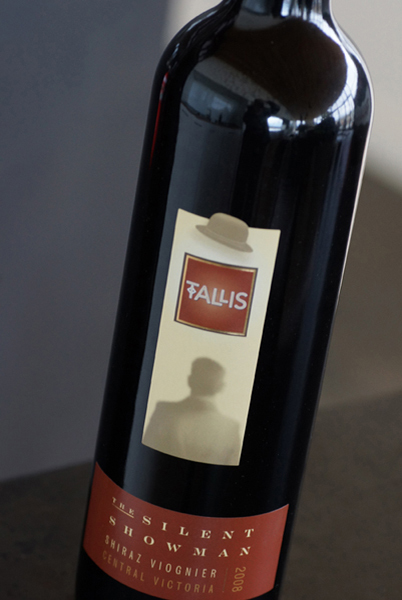 Unmistakably sangiovese, with a characteristic bouquet of spicy fruit, dried herbs and black olives. 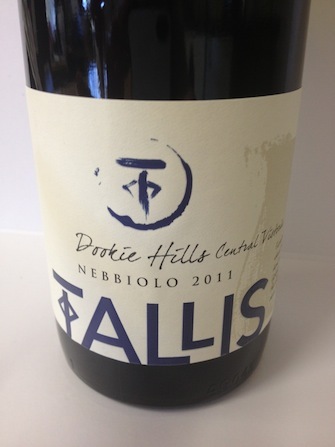 Similar in style to Italian Chianti the palate is a fine balance of morello cherry fruit and earthy, savoury notes. The firm tannin backbone and generous lick of acidity adds length and structure. The wine to match with a duck liver pate or any Italian dish such as tagliatelle ragu, porcini mushroom risotto, spicy chorizo sausage or Sicilian pizza.